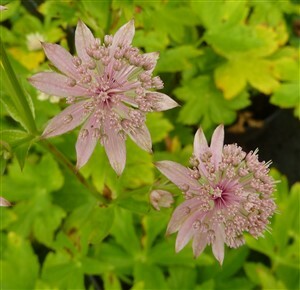 Astrantia 'Florence' A lavendery light pink centre with prominent silver bracts mark this out as something special in the shade garden. A rare variety that's tough and easy, bred for long flowering. This flower photo was taken at the end of July, with plenty more to come.